The contemporary version of the top of the Chrysler 300 line, the Chrysler 300C was introduced as a concept car at the 2003 New York Auto Show. Ralph Gilles, Chrysler’s current senior vice-president of design, as well as its former president of the Dodge Division, and the company’s current president and CEO of the SRT brand was credited with the design of the car. Introduced in 2004, as a 2005 model, to many, the then-new Chrysler 300 resembled something Bentley or Rolls-Royce might have done. It also became a huge hit for Chrysler. The full-size luxury sedan has since spawned a second generation—with the first iteration of the car running from 2004 to 2007. The second generation of the rejuvenated Chrysler 300 launched in 2011. While its profile is largely the same as the car it replaced, its contours are more rounded, giving the car a slightly softer appearance. 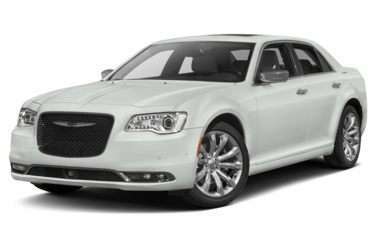 Offered in Touring, Limited, 300C, 300C AWD, and 300C SRT8 iterations, the model continues as Chrysler’s flagship car. Special editions of the new 300 include the 300 John Varvatos Limited and Luxury editions, the 300 Motown Edition, and the 300 Glacier edition. The car is a spiritual successor to the Chrysler “Letter Series” cars built between 1955 and 1965. Those cars were high performance luxury models whose “300” designation reflected the fact they employed 300 horsepower engines. Each successive model year got a different letter designation, although the letters A and I were skipped. The 1955 car was the C-300. The nomenclature then proceeded alphabetically starting with the 1956 300B. However, instead of being designated 300I, the 1963 model inexplicably skipped to “J”, becoming the 1963 Chrysler 300J. The order then proceeded in succession through 1965 with the 300L. Then 34 years later, for the 1999 model year Chrysler picked the 300 nomenclature up again with the 300M. However this car’s 3.5-liter V6 engine made only 253 horsepower, rather than customary V8 powered car’s 300 horsepower. When the 300M was replaced in 2004, Chrysler went to 300C for the 300-horsepower 5.7-liter V8 version of the car. The V6-powered variants were called simply “300” without a letter designation.